Anita loves to entertain in her Frederick, Maryland home. No matter the season, no matter the holiday, she entertains all year long, inside and out. Hosting parties for big crowds means Anita uses many serving pieces. 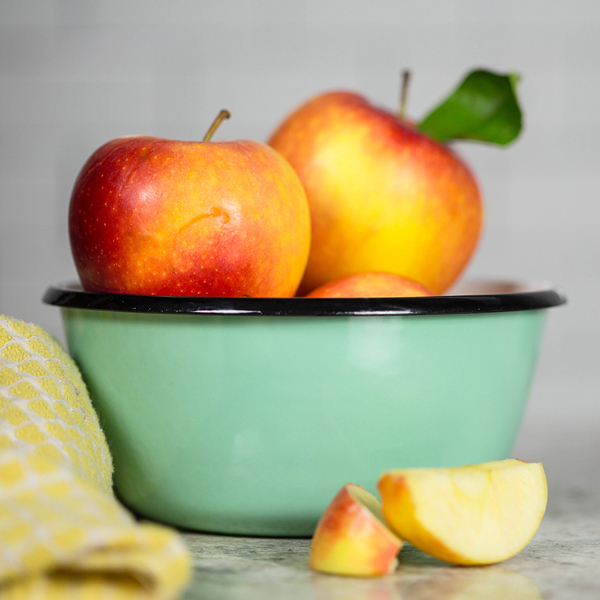 And some of her favorites are vintage porcelain enamelware dishes passed down through her family. We’ve been down home on a Texas ranch this week checking out how custom barn lights create a cohesive look between Renee’s home and barn. 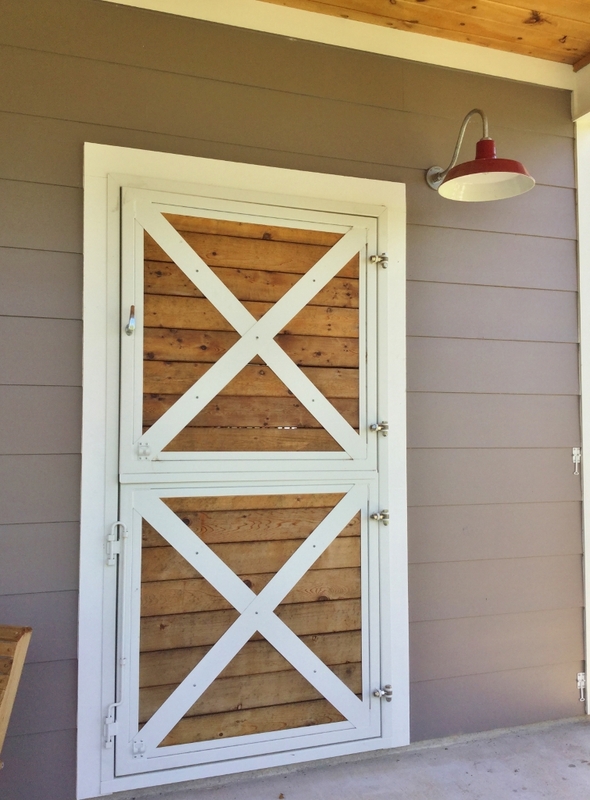 Monday’s post featured the exterior of both spaces and Wednesday’s post included the working part of the barn. Today we discover how rustic chandeliers take center stage in a surprising loft space in the barn. In Monday’s post, we introduced you to Renee who recently built both a home and a barn on her Texas ranch. 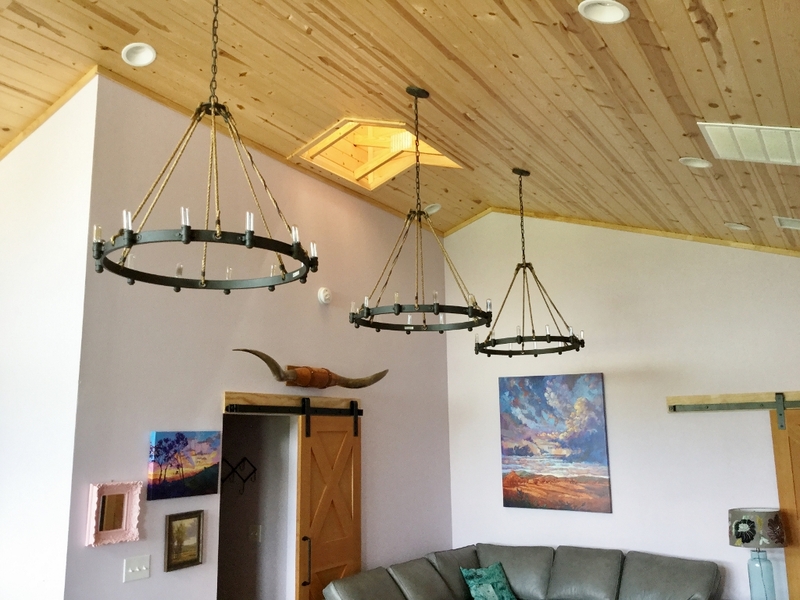 Renee fell head over heels in love with our custom barn lights which enabled her to create a consistent look in her lighting in both spaces. Choosing one light is pretty straightforward. Choosing multiple lights for an entire house — and a barn — gets a little trickier. How do you create a consistent or complementary look when you see only one or two options sitting on the shelves at the big box store? 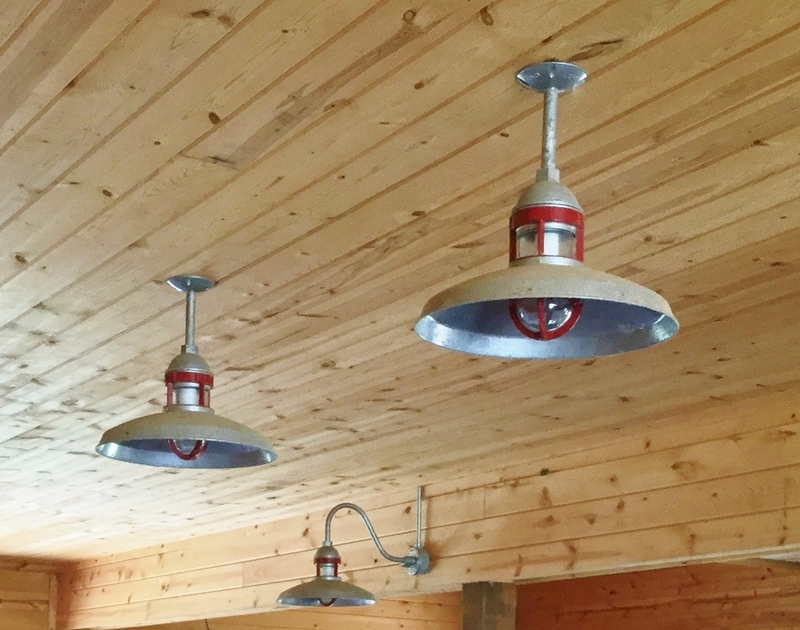 Custom barn lights to the rescue! 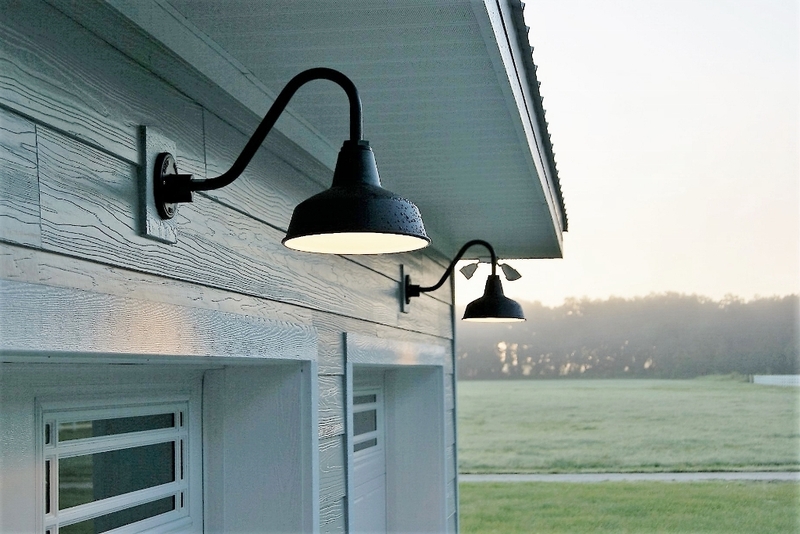 In his search for exterior barn lights for his new home, Ernest wanted not only high quality, American-made lights, but he wanted fixtures that are dark-sky friendly to minimize nighttime glare.